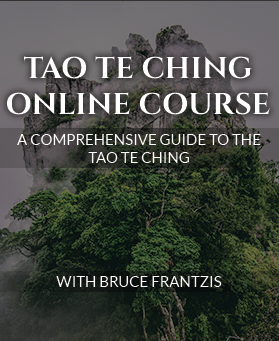 Tao Te Ching: A Practitioners Guide was created to present the Tao Te Ching experientially from an insider’s view, for those who not only want to read the text but are ready to learn some of the practices from Taoism and apply it in their lives. The initial program consists of instructional audio and text that you can listen to on your computer, or download and then listen to on an audio player of your choice such as an iPad, tablet, iPod or MP3 player. Each month you will receive content on four chapters of the Tao Te Ching including a written adapted translation and 2-4 hours of audio commentary and guided meditation practices. The monthly fee is $16. For a comparison, an hour class of yoga can cost $20 at your local fitness center. The Tao Te Ching is the philosophical and religious underpinning for Taoism. The Tao Te Ching was transmitted by Lao Tse in approximately 600 B.C. and contains 81 chapters in total. This program focuses on theory, specific practices and applications of the Tao Te Ching. It will explore how to use this important book as a practical guide for living in the modern world, interpreting the original phrases and applying them to the present. Following this path offers rare insight into Lao Tse’s water meditation tradition which is based on the principles of balance, peace and connection to nature. Lao Tse’s Tao Te Ching is intimately connected to the path of meditation. To follow the path of meditation you will have a desire to know yourself at a deep level. You will also want to seek the direct experience going beyond mental ideas. Real meditation takes both courage and dedication. Will I be able to do and commit to my practice each day regardless of what comes up? What will I do when it becomes boring? How will I handle distractions? Meditation is something you should want to practice everyday or feel an inner calling to do, not something you force yourself to do. If you are forcing yourself to meditate each day you probably are not ready for the path. Make no mistake, Taoist meditation (or meditation of any kind) done correctly is work that requires all of your Being. You will be looking inside yourself to see what is there. It often brings your inner demons to the surface and you must face what is inside yourself. The Tao Te Ching Program will help you develop the proper mindset for Taoist meditation, and it will provide a regular monthly program for you to follow. You will also have access to the online forum providing a good place to turn if you get stuck anywhere along the path. Ideally practice mediation for 20 minutes each day or at the minimum at least 3 times per week. If you have psychological, emotional or mental conditions, problems or issues you should seek the help of qualified medical professional and not sign-up for this program. This program is not intended as treatment, is not medical advice nor can any counseling be given on the forum or through email. Before you start this program or any other programs from Energy Arts you should seek advice from your medical professional. Understand that Bruce’s teaching style is often very direct – sometimes even using explicit language which may offend you. This teaching style often goes against what people ‘expect’ from a meditation teacher. If this teaching style is not for you then we strongly encourage you to find another teacher that better matches your needs.